Muzooka - How do I request and manage my Muzooka API key? Step 1: Login with your Facebook account and provide your basic personal information. Muzooka does not require access to the 'Manage Pages' permission if you're just using our API. 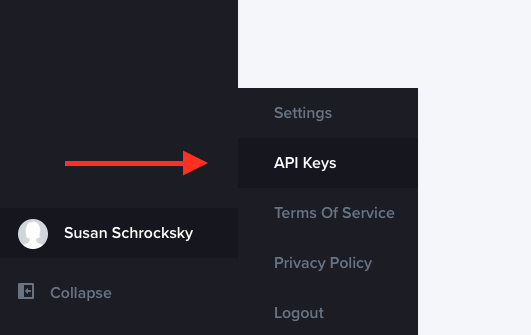 Step 2: When logged in, mouse over your name in the bottom right and click on 'API Keys'. Step 3: In the top right you will see a 'Request API Key' button, click that and provide your name, a reason for how you would like to use our API*, accept our Terms of Service and submit. 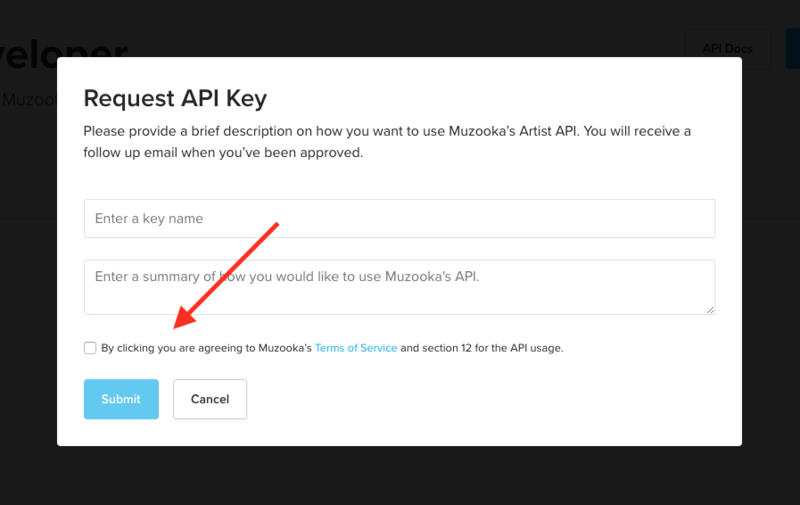 * Muzooka is only providing API keys to select partners at this time.